-Customize your party! you can add as big you want on this high peak tent. 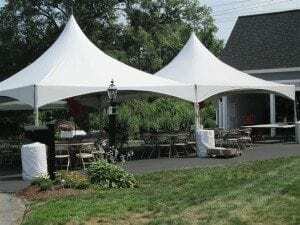 Note, this Tent shown is 2 x 20×20′ attached, also we supply rain gutter if need it.